have mercy: Oh What Fun! An outside-the-box woman gave Christmas new life in our family last year. Her name is Lorilee and she blogs at LovingSimpleLiving. 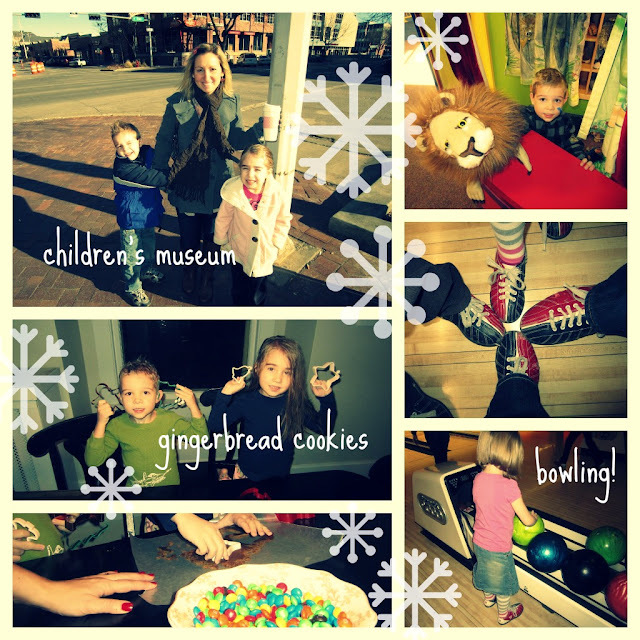 In a nutshell, she reinvented Christmas celebration with two goals: stretch the fun out and focus on the experience. So December 25 was the first of seven days of Christmas, each of which included a family activity, a small gift, and a special food. To see exactly what she did, go here. This fresh idea got me brainstorming about a version to fit our family. Based on my last post, you know we do Christmas morning gift-giving. Their stockings will have very little in them - a pack of gum and one small toy - little aliens the kids fell in love with at Pier One. If you squeeze them, their eyes pop out at you. Hilarious. Anyway, the stocking's main function will be holding a message that tells the special food and activity of the day. So the kids will have something to run down and discover for five days that has nothing to do with presents, but everything to do with fun times together. Lorilee did seven and twelve seems appropriate, but I'm all about easier, remember? This year's planning will be easier with some repeats from last year, but I'll try to come up with some new ideas. Here are a few photos from last year's fun. Did this week kick you in the pants? It did me, but it's over now, right? Let's have a great weekend, people! Maybe if we all do one fun thing, one silly thing, and spend one half hour puttering aimlessly, we'll be ready for next week when it arrives. Or if you're really run-down, treat yourself like you would if you were sick - lots of sleep, rest and comforting foods. The first brilliance that sparkled out of Lorilee at me was this article on being soul sick. I think there's something to that. And then maybe we can kick next week in the hiney instead of the other way around.